How to disable this player completely? It often pops up when I try to download mp3. I want it to save file, not to play it in browser. Go to about:config and flip media.windows-media-foundation.enabled to false. Is this a recent change? I always want to download audio files. Suddenly today they're playing in the browser. Completely ignoring the applications setting and requiring me to edit the about:config options to turn this POS off. Very annoying. At the very least, it got me thinking about my android tablet. Found that setting media.plugins.enabled to false does the same thing there. Nice. BillyBuerger2 wrote: Is this a recent change? Yes, H.264 and AAC/MP3 support was added in Firefox 21 for Windows 7/8. Firefox 22 will add it for Windows Vista. BillyBuerger2 wrote: I always want to download audio files. Is Right-click → Save Link As not available? Does anyone know if a bug report has been filed? The built-in PDF reader also used to steal file associations at first, but that was eventually fixed. Thanks for the info. Yes, Save Link As is a valid option. But I prefer that links to any media files go directly to download. 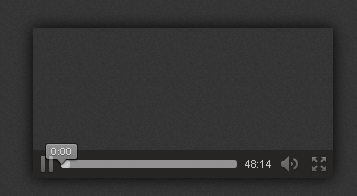 Only time I feel media files should play in the browser is when they are embedded. Embedding is for playing, links are for downloads. Other people may not feel the same which is why the application settings are there for people to pick what they want. This was the first place I looked when I noticed this issue. Hopefully it will be fixed soon. Bug 799315 - Windows Media Foundation backend for media playback has the background for this new feature. 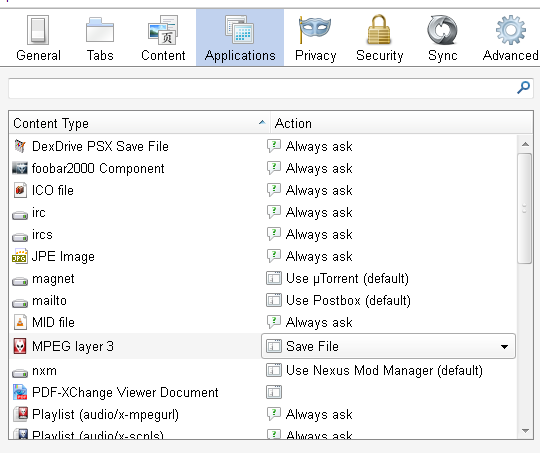 Comment 52 mentions that Firefox doesn't respect settings in Options -> Applications when media.windows-media-foundation.enabled is true (the default setting) but I don't see a new bug for that listed in the bug report. In case anyone comes here from google, changing media.play-stand-alone to false is now the current setting to disable the internal mp3 player in firefox.